Mumbai: The Indian government has cleared the appointment of Subir Gokarn, Asia-Pacific chief economist of global rating agency Standard and Poor’s (S&P), for the post of a deputy governor at India’s central bank. “I have got the letter from the government of India," Gokarn told Reuters on the telephone. “I will be joining pretty soon." The position has been lying vacant since mid-June after Rakesh Mohan quit months ahead of his retirement. Gokarn, 49, will be one of the youngest deputy governors at RBI in recent times. R.K. Hazari, a deputy governor between 1969 and 1977, the youngest in RBI’s history, was in his late 30s when he was appointed to the post. Gokarn’s appointment also marks a radical shift in RBI’s approach. It is first time that the bank has gone beyond a circle of bureaucrats and government economists to fill the post, traditionally reserved for a macroeconomist. 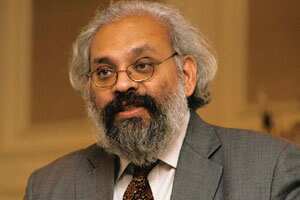 Mohan, who quit in June, had served as a secretary, department of economic affairs, and chief economic adviser to the finance minister. His predecessor Y.V. Reddy, who later became governor, also was a part of the finance ministry. Traditionally, RBI has four deputy governors. Among the existing three, Usha Thorat and Shyamala Gopinath belong to the RBI cadre. The third, K.C. Chakrabarty, took over as deputy governor in June.